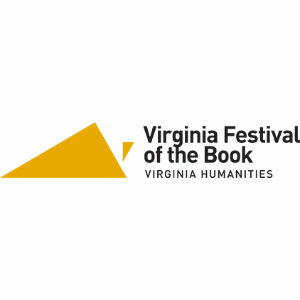 The 25th anniversary Virginia Festival of the Book will be held March 20-24, 2019, in various locations in Charlottesville and Albemarle County. Laurie Halse Anderson is a New York Times bestselling author whose books have sold more than eight million copies. A two-time National Book Award finalist and a Margaret A. Edwards Award winner, she is an advocate for diversity in publishing, a member of RAINN’s National Leadership Council, and has been honored for her battles for intellectual freedom. Her forthcoming book, SHOUT (March 2019), is a free-verse memoir of sexual assault and a love letter to anyone with the courage to say #MeToo. READ & LEAD LUNCH: Barbara Ehrenreich is the author of over a dozen books, including the New York Times bestseller Nickel and Dimed. Winner of the 2018 Erasmus Prize for her work as an investigative journalist, she has a PhD in cellular immunology and writes frequently about health care and medical science, among other topics. Her recent book,Natural Causes: An Epidemic of Wellness, the Certainty of Dying, and Killing Ourselves to Live Longer, explores how to live joyously, while accepting our mortality. Jason Reynolds is a New York Times bestselling author, Newbery Award honoree, Printz Award honoree, National Book Award honoree, and a two-time Walter Dean Myers Award winner, and has received numerous other accolades. His forthcoming book, Lu (October 2018), is the fourth book in Reynolds’ bestselling Track series for young readers, which tells the tale of an albino athlete struggling to overcome his own ego. LITERARY LUNCHEON: Lisa See is the New York Times bestselling author of The Tea Girl of Hummingbird Lane, Dreams of Joy, which debuted at number one, and many other novels. She has been honored as National Woman of the Year by the Organization of Chinese-American Women and was the recipient of the Chinese American Museum’s History Makers Award. Her forthcoming book, The Island of Sea Women (March 2019), introduces readers to the fierce and unforgettable female divers of Korea’s Jeju Island and the dramatic histories that shaped their lives. CRIME WAVE BRUNCH: Don Winslow is the New York Times bestselling author of The Force, the international bestseller The Cartel, and other novels. Several of his books have been made into movies or are in development. A former investigator, anti-terrorist trainer, and trial consultant, Winslow lives in California. His forthcoming book, The Border(February 2019), is the explosive conclusion to the epic Cartel trilogy, which examines the drug war from both sides of the U.S.-Mexico border. Tickets for select Festival programs go on sale at VaBook.org on Thursday, September 27, 2018 at 9:00 AM. Additional details, speakers, and programs will be announced on VaBook.org as they are confirmed. The Festival is also still accepting submissions in all genres for general programming. Submission guidelines and the online form to submit are available at VaBook.org/Submissions. Only online submissions will be accepted. The deadline to submit is October 1, 2018.